Help Eradicate Pediatric Cancer, One Balloonicle at a Time! 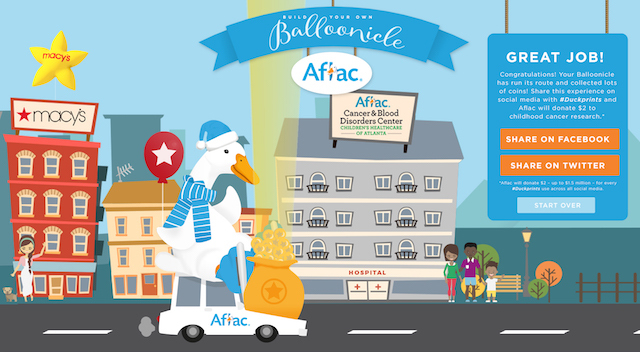 I’m honored to help raise pediatric cancer awareness with Aflac, sharing the “Build Your Own Balloonicle” game. This post is sponsored by Aflac. I was compensated for writing it, but all opinions are mine, 100%. The realities of pediatric cancer are near and dear to my family’s heart. My husband’s little sister, Rachel, developed a rare form a bone cancer at the age of 10. Fast forward through chemotherapy, surgeries and many nights in the hospital, the entire family came together to celebrate her first time in remission. Little did I know that Rachel and Logan had plotted together to use this glorious celebration for Rachel to also do a little celebrating for Logan and I. They came together and planned a wedding proposal for that same party. It was, and is still, so touching to me that Rachel used her own celebration to celebrate our love. What a happy proposal day it was. Celebrating all around! Rachel has an amazing success story with her battle with cancer, battling it four different times. She’s such a strong young woman and our family will be thankful for the amazing world of pediatric cancer research for a lifetime. She is 20 years old now and has been cancer free for 4+ years, which is truly a miracle. 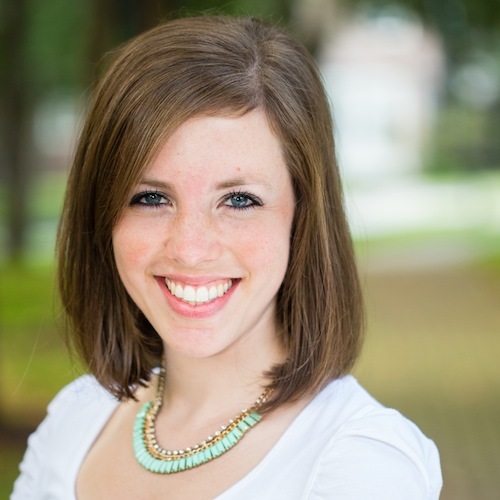 If you’d like to hear more about Rachel’s story straight from her, here’s a link to a video. My family and I will never take for granted every penny that goes into fighting childhood cancer, which is why I jumped at the opportunity to help raise up to $1.5 million dollars towards the cause. Many of you may not know it, but Aflac (you know, the hilarious duck commercials? ), has been supporting the fight against pediatric cancer for more than 20 years. This year is no different! 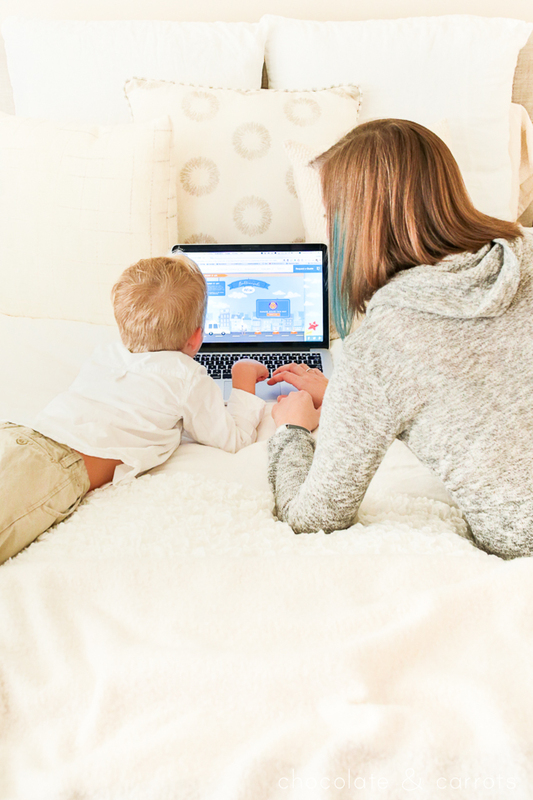 In fact, this holiday season Aflac has developed a new online game, “Build Your Own Balloonicle,” where you can share your game experience on social media with #Duckprints and Aflac will donate $2 for every share toward children’s cancer (up to $1.5 million). 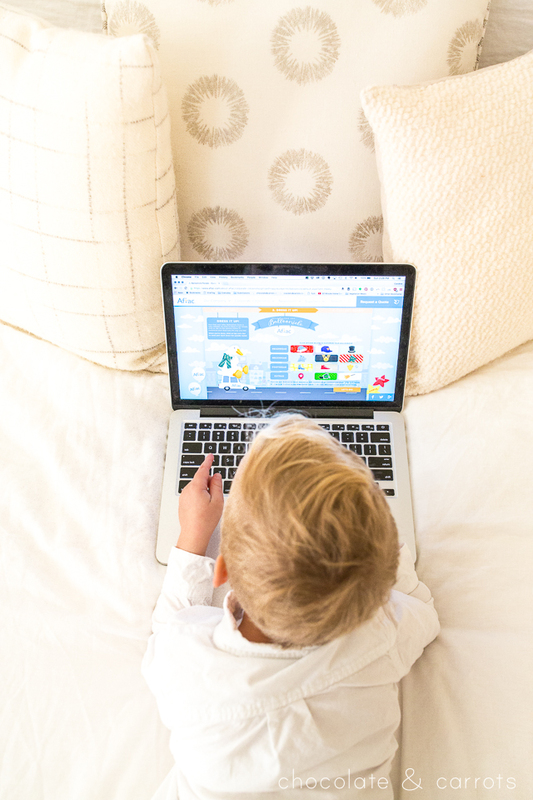 The game is really cute (and if you have children or grandchildren, they’ll love it…I know mine did!) and allows you to get creative and create your own Macy’s Thanksgiving Day Parade balloonicle that will ride down the street, collecting coins for cancer. The goal of #Duckprints is to generate a groundswell of excitement that will result in an increase in both donations and awareness, with the ultimate mission of eradicating childhood cancer. Yes! Click the Aflac duck to fill the balloonicle with air. Dress your balloonicle in your favorite costume combination. Ride down the parade street, filling your bag with coins. Share your #Duckprints game experience on Facebook or Twitter and Aflac will donate $2 for your time and sharing. Easy, fun and such a wonderful cause! Visit www.aflac.com/parade today to build your own balloonicle! 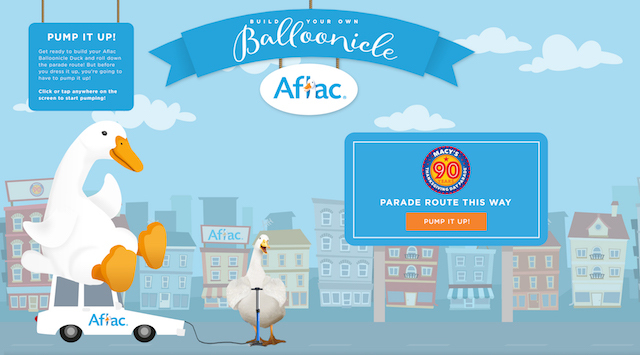 Alright, now who will be looking for the Aflac Balloonicle at the 90th Macy’s Day Thanksgiving Parade this year? You can watch along at 9 a.m. in all time zones on NBC on Thursday, Nov. 24, 2016. Such a fun holiday tradition! While I have been compensated for my time, my opinions are my own. Please read my disclosure policy for further information. Aflac herein means American Family Life Assurance Company of Columbus and American Family Life Assurance Company of New York.